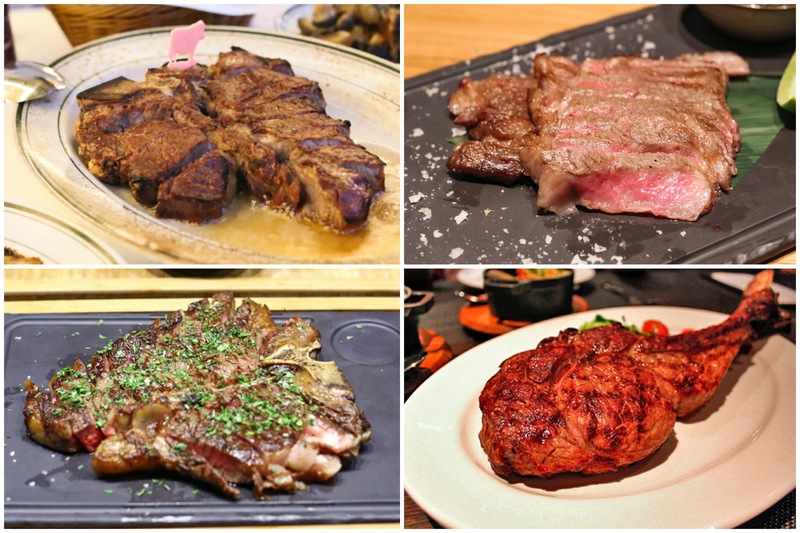 Singaporeans love their steaks and beefs, and thankfully there is no shortage of excellent steakhouses in Singapore. 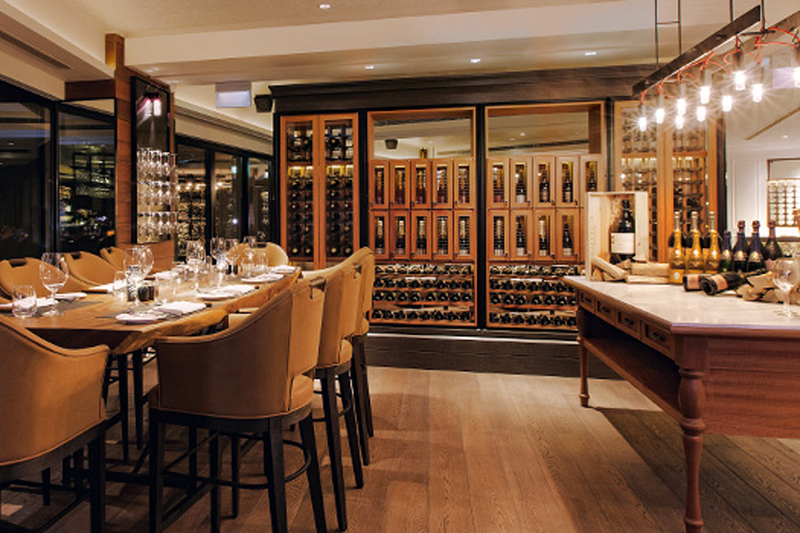 From classy steakhouse restaurants that serve perfectly-cooked fillet and ribeye steaks to contemporary dining establishments where you can try premium imported cuts, there are plenty options to choose from. I get asked the “best steaks in Singapore” question often, because steakhouses are often seen as the special–occasion place. Think about it, you do not go for steaks every other day, but when it is a time for celebration. To be honest, I got to love steaks only after a few years of working, and previously would be happy with a sirloin at a casual restaurant. So I am still in the process of learning more about steaks. If you need to order, most of the time “medium rare” works best because it presents for a charred outside and cool interior. The first Asian branch of this world-renowned steakhouse from the United States is located at Marina Bay Sands in Singapore. 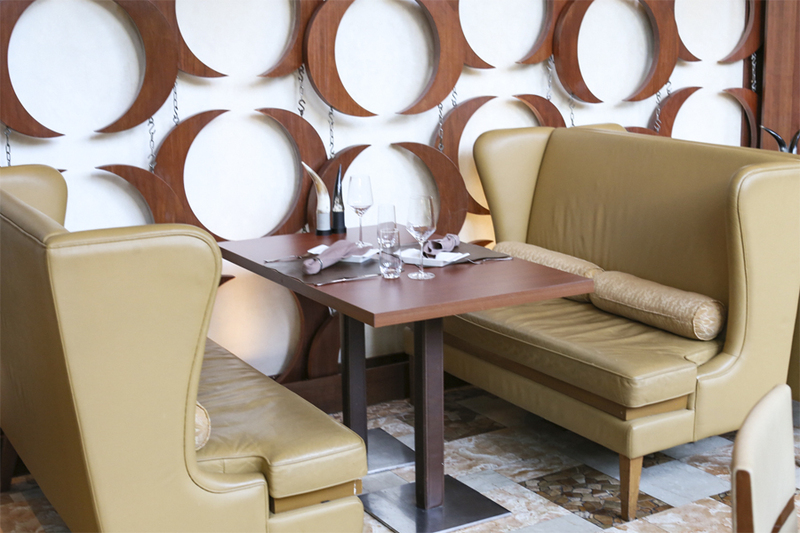 The restaurant boasts a comfortably modern dining room and offers an excellent selection of premium cuts imported from Australia, Japan, and the USA. 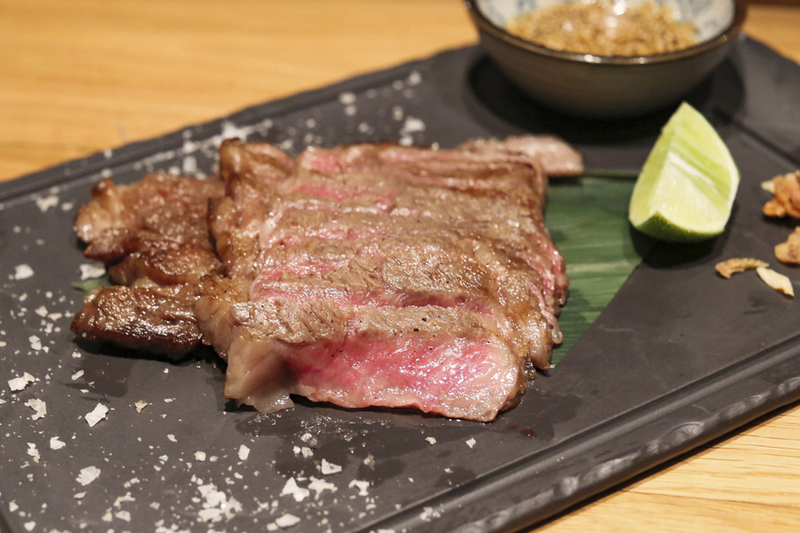 American prime steaks such as ribeye steak ($98) and New York Sirloin steak ($72 – $98) can be found on the menu, as well as Japanese A5 Kobe Beef from Hyogo Prefecture. The grass-fed UK Red Poll dry-aged for 45 days is also delicious. I went in a group for a birthday and happened to order different cuts. The Japanese Kobe blew us away, while the rest tasted more or less expected. Keep in mind that CUT by Wolfgang Puck is one of the most expensive steakhouses in Singapore and some steaks cost more than $250. 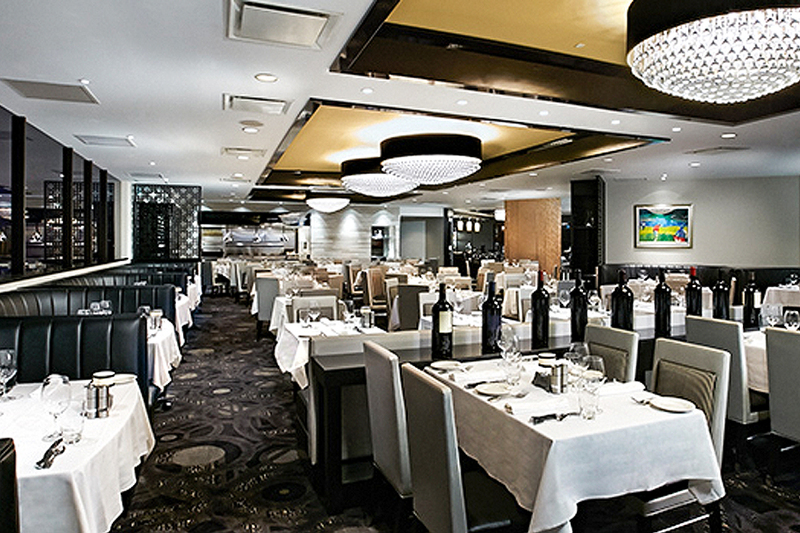 This steakhouse restaurant is also available for cocktail gatherings, corporate events, and private dining events. It is after all, crowned with a Michelin star, the only steakhouse in Singapore to achieve that honours. Not to be confused CUT by Wolfgang Puck, Wolfgang’s Steakhouse was originally opened in NYC in 2004 by Mr. Wolfgang and his son Peter Zwiener. Today, this prime steakhouse destination has 18 locations all around the world with one branch in Singapore which was launched last year. 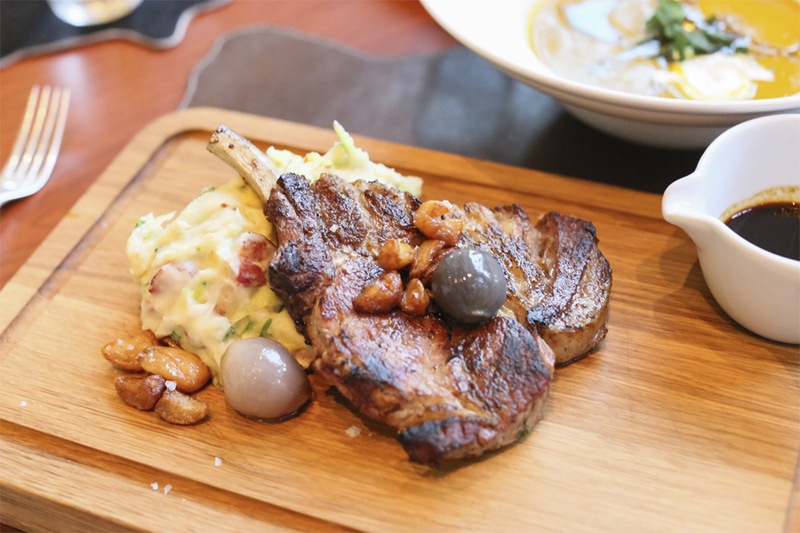 Thanks to its central location in Robertson Quay, this old-fashioned steakhouse attracts steak lovers and is well-known for their perfectly prepared 28-day dry-aged steak. The interior is old-school with walnut floors and chic chandeliers imported from Italy. There is plenty of natural light since the main dining hall is surrounded by full glass windows. The appetizers here are great and affordable – for its quality. For instance, the fresh Seafood Platter with Maine lobster costs $50. 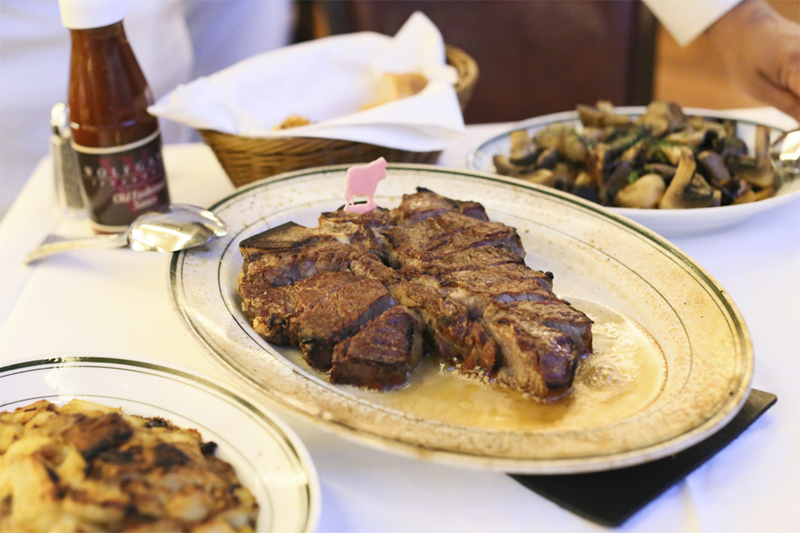 Some of the signature dishes on the menu include the classic New York Sirloin ($99), Porterhouse Steak ($185 for two people), Prime Filet Mignon ($118), and Rib Eye Steak ($118). They have a nice selection of sides like creamed spinach and mashed potatoes. Loved the service here – staff was polite, knowledgeable and gave great recommendations. 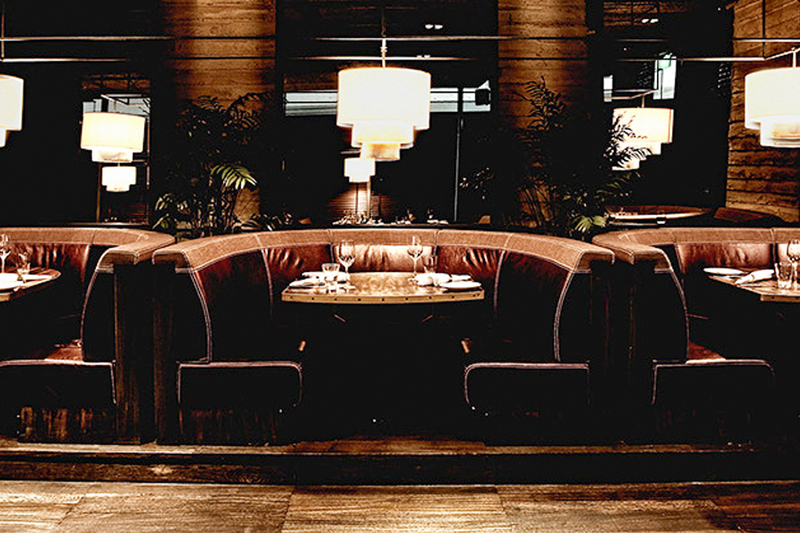 Located inside the Hilton Singapore, Opus Bar & Grill is one of my personal favorites on this list. It is one of the best steak restaurants in Singapore, paying special attention to the sourcing, storage and cooking of their meats. These are bespoke Himalayan salt tile ageing cabinets which are not even commonly found in Singapore. 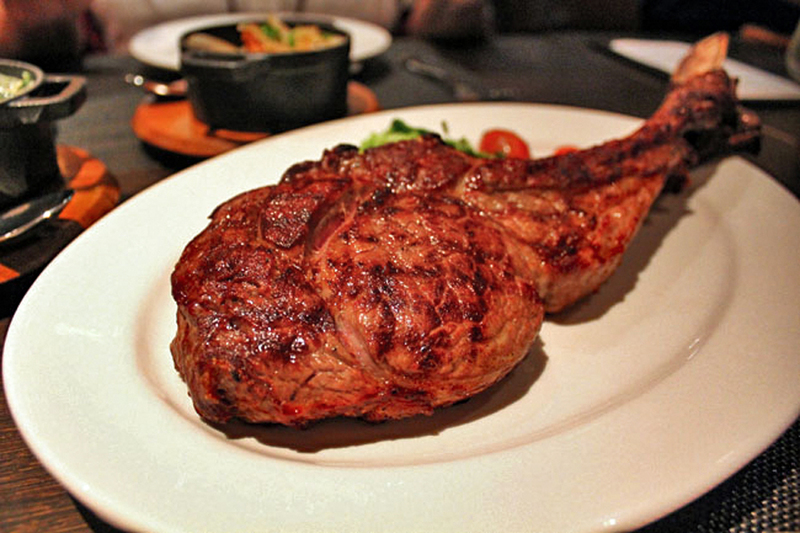 The signature prime meat cut, OP rib served there are dry-aged between 14 to 36 days. 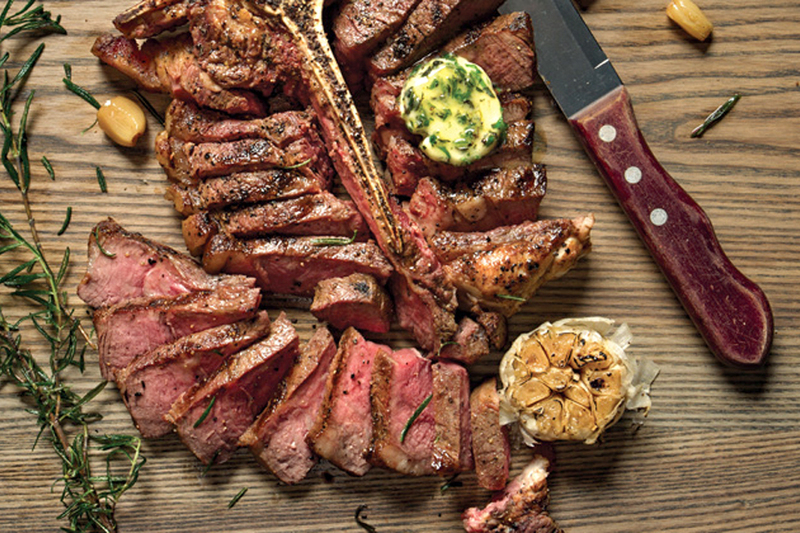 You can order the Signature 800g Ranger Valley Angus OP rib dry-aged, marble score 4 ($120 for 2 persons), 220g U.S Greater Omaha 100 days corn-fed prime grade cuts or 220g Kobe Cuisine Australian Wagyu Rib-eye, marble score 6 ($92). 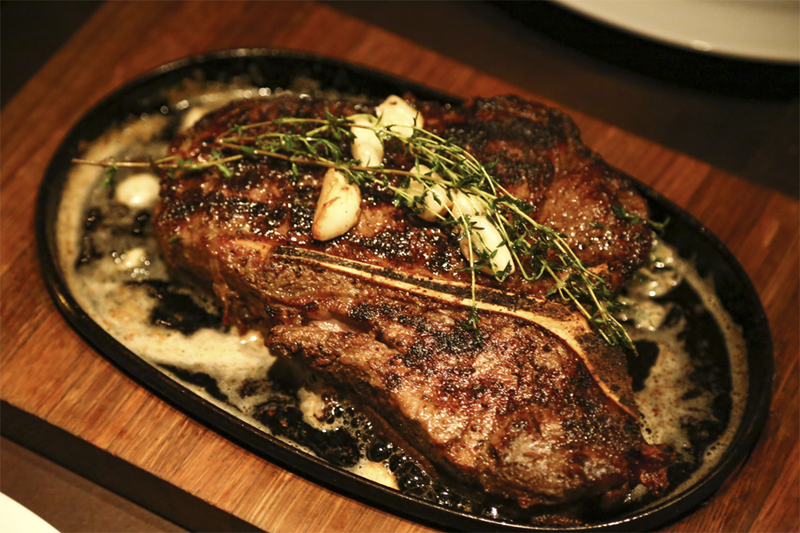 What I liked about the Porterhouse ($138++ serves 2) is you can experience two steaks in one. Because it is a T-bone, part of it would consist of “strip” with good marbling with slightly beefier flavour. This will be the portion which will be moderately tender, with a bit of chew. This is the steak restaurant I possibly recommended most to personal friends, also because there are wine promotions on certain day. Free flow wine for 2 hours, anyone? 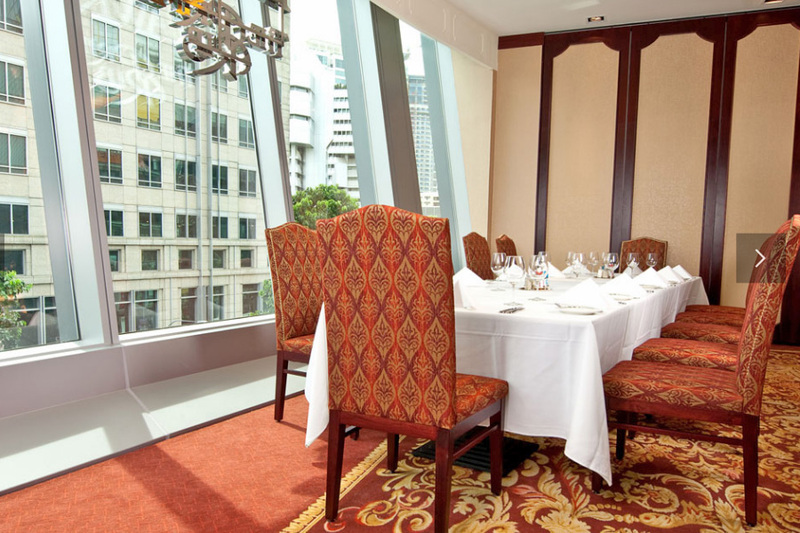 Situated on the 3rd floor of the Raffles City Shopping Center in Singapore, Wooloomooloo Steakhouse offers a nice selection of premium cuts and boasts panoramic views of the St. Andrew Cathedral and Stamford Road. 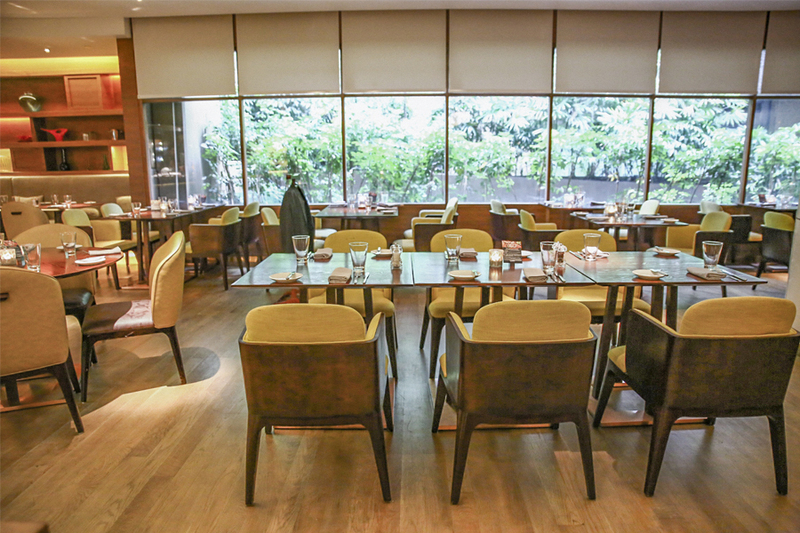 With its elegant décor and classic trimmings, this steakhouse is one of the finest looking dining establishments in Singapore. As for the menu, there is a nice selection of starters like colossal crab lumps ($30), lobster bisque ($20), and beef carpaccio ($24). The Australian Black Angus Tomahawk ($125, portion for 2) was a massive whole rib steak of more than a kilo with bone in, served medium after 20 minutes in the broiler. This was a premium cut from Australia, and HUGE and impressive when served, and would satisfy many meat lovers. Fat content in a Tomahawk was generally higher, therefore slightly plumper and chewier – not exactly my favourite beef cut, but great if you like your slices of caramelised fats. Located on Somerset Road in Singapore, Bedrock Bar and Grill is a reputable restaurant and whiskey bar that doesn’t experiment that much with food and serves classic steakhouse dishes. The good news is that this unlike other steakhouses in Singapore, here everything is more or less reasonably priced. If the weather is nice, you can sit on their outdoor terrace and order something from their extensive whiskey list while waiting for your food to be served. Some of the signature dishes include the Bedrock Black Pepper steak ($79), Tomahawk steak (market price), and a whole rack of Lamb ($129) which is served with mint sauce and roasted root vegetables. 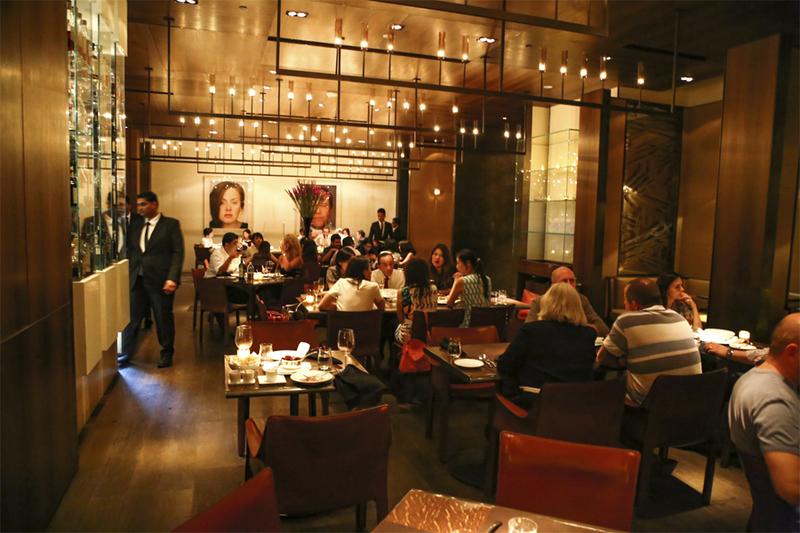 Morton’s Steakhouse is definitely one of the most popular steakhouse joints in Singapore and for a reason. Keep in mind that this place is a bit on the expensive side, but the service is impeccable, the portions are huge, and the food can be best described as mouth-watering. 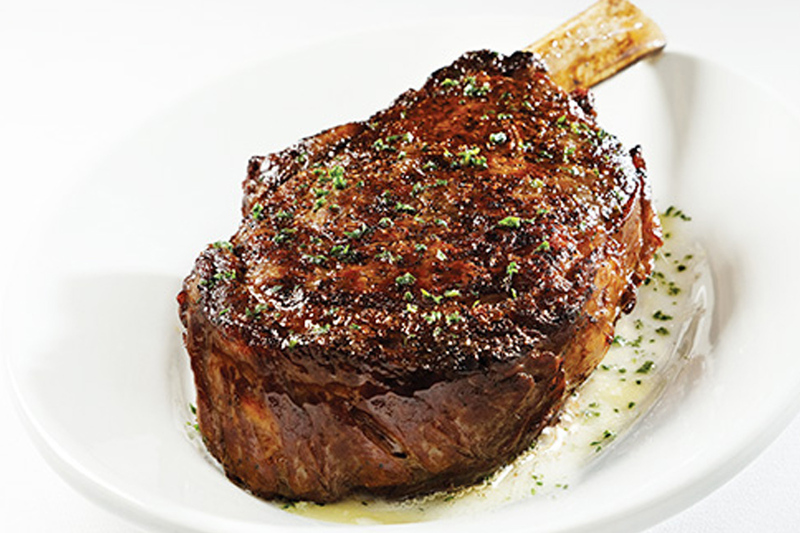 The favourite dish here is the amazing Center Cut Prime Ribeye ($99.50) that weighs 450 grams. Tender and basically melts in your mouth. The Center Cut Filet Mignon which starts from $80 was also juicy, as well as the Porterhouse steak. 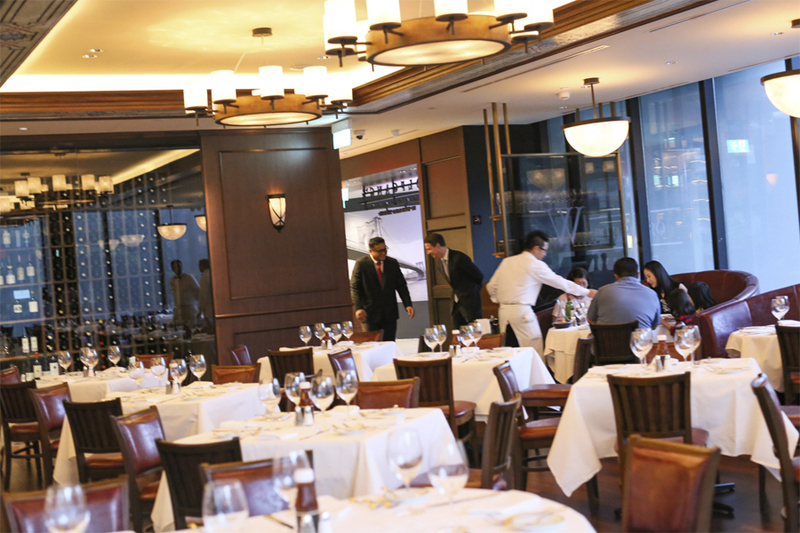 Situated on the fourth floor of the Mandarin Hotel in Singapore, Lawry’s The Prime Rib is a classy steakhouse that can accommodate up to 170 guests for lunch and dinner. 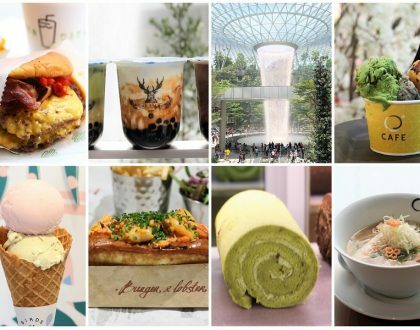 If the panoramic views of the Orchard Road and the fabulous 4-meter high floor-to-ceiling windows do not impress you enough, the food certainly will. 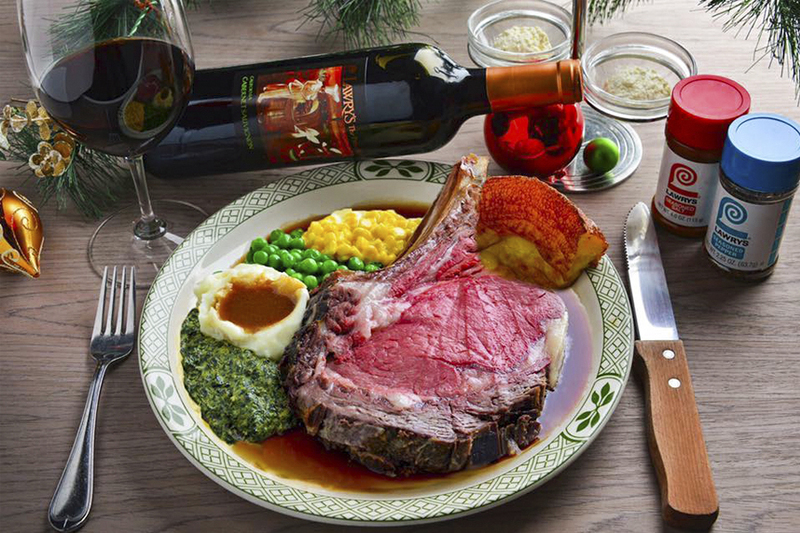 Go for the signature 21 days aged USDA prime ribs of beef served with spinning bowl salad, Yorkshire pudding, and mashed Idaho potatoes ($93). Some of the other dishes worth ordering include Single Cut Filet Mignon 200g ($73), Fresh Shucked Canadian Oysters (half dozen $33), Pan-seared Hungarian Goose Foie Gras ($35), and Atlantic Lobster Dinner ($99). 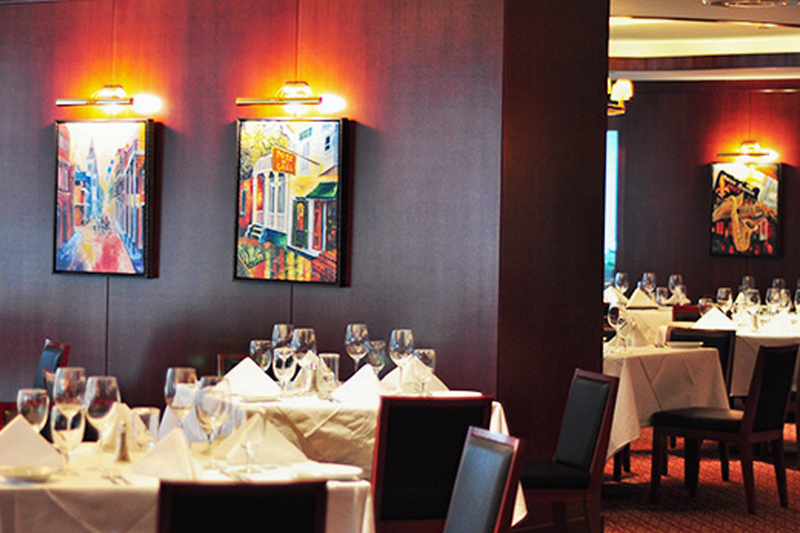 Originally from New Orleans, Ruth’s Chris Steakhouse is an elegant dining establishment which has been around for 38 years. 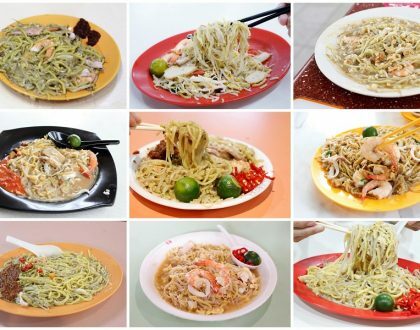 They have more than 130 branches all around the world and one of them opened in Singapore in 2012. Expect to find classy chandeliers, wood panel walls, and thick carpets, as well as black leather chairs and white tablecloths. 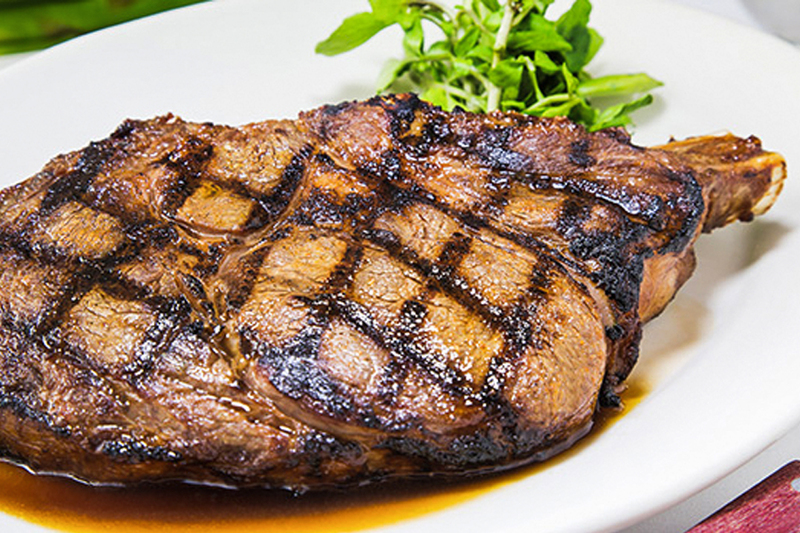 Ruth’s Chris Steakhouse focuses on premium custom-aged corn-fed beef and offers a nice selection of premium cuts on their extensive menu. They only serve USDA Prime steaks and some of the favourites among the locals include Petite Filet ($65), large Ribeye ($100), and T-bone steak ($115). An award-winning wine list can be also found on their menu. 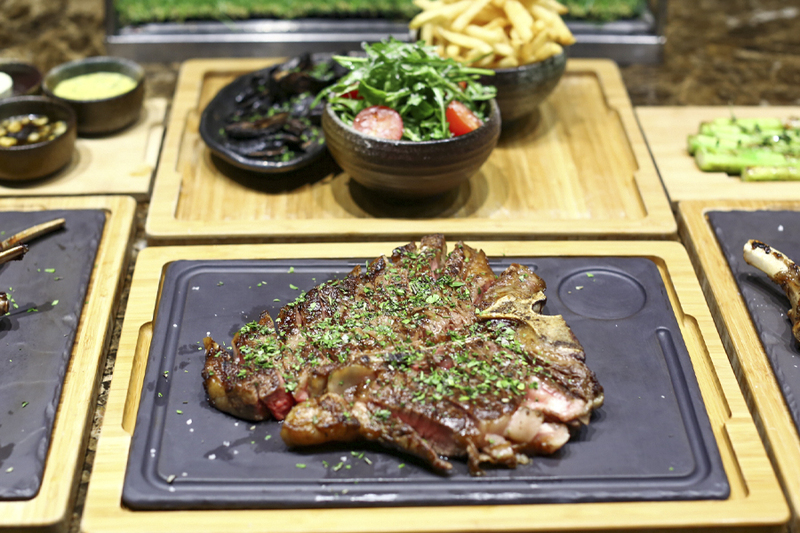 SKIRT is located at the lovely Sentosa Cove and boasts an impressive selection of beef imported from the USA, Argentina, and Australia. I liked their open kitchen and the popular Parrilla grill where professional chefs prepare delicious food. The interior is quite modern with dozens of decorations including big chandeliers hanging from the ceiling. As for the food, you can choose from their raw menu, smaller taste, larger plates, and sides. The sheer skirt steak is mouth-watering and costs $79, while whole baby snapper ($74) is ideal for sharing. Some of the other dishes worth ordering including Iberico pork chop, BBQ prawns, and torched saba. The steak here was surprisingly not bad, more memorable than some of the really-famous ones around. Fat Cow is a cosy steakhouse joint in Singapore that boasts an impressive selection of Japanese steaks. 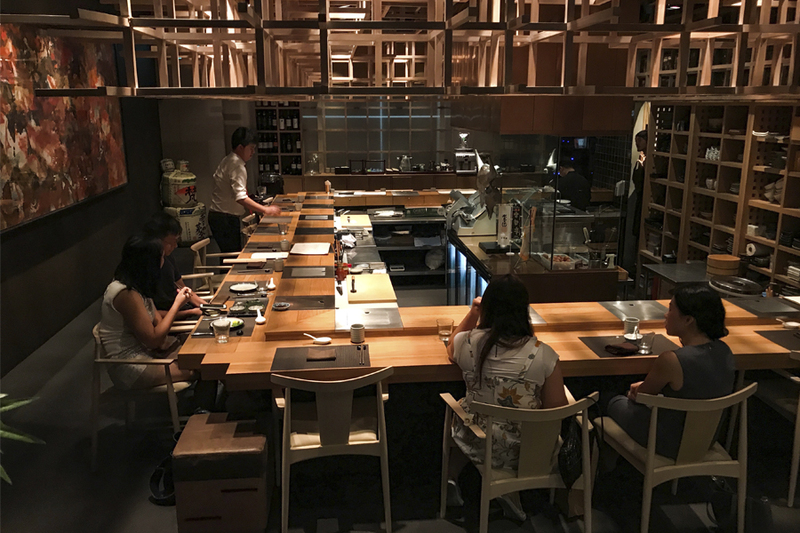 Diners can enjoy choice of beef over a variety of Japanese preparation methods – Shabu-Shabu, Sukiyaki, Hobayaki or the Sumibiyaki (charcoal-grill). 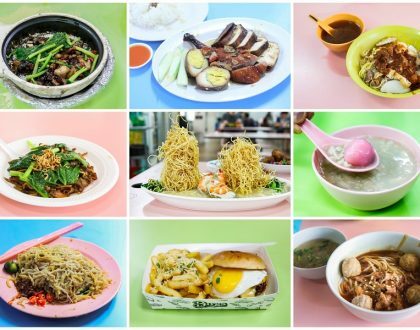 While the a la carte menu is on the expensive side, the popular Fat Cow lunch is priced between $25 and $50 and allows you to choose a main dish from a list that consists of 8 items. Japanese Wagyu cuts include the Ohmi Grade A4 Ribeye (from $138++, 150g) and Iwate Grade A5 Ribeye (from $148++, 150g) in addition to Saga Grade A3 Tenderloin (from $98++, 110g) and Sirloin (from $120++, 150g). During my last visit, I thought that the service was slightly uneven, though the manager was indeed quite apologetic about it.